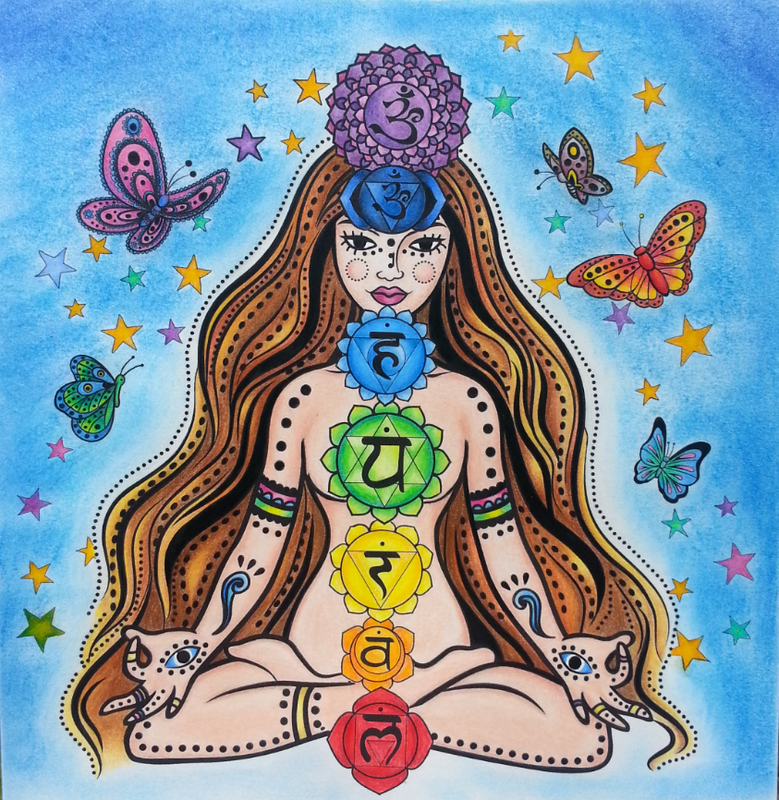 Nina Arwood, who colored in this drawing, won The Chakra Coloring contest. She’ll receive a special prize, but everyone who entered is a winner. For a short time, you can download my Chakra Balancing Video for free for yourself or to share with friends. Coloring is a wonderful meditative art that helps quiet your mind while letting your creativity flow.I’m having a wonderful time creating mandalas and chakra balancing line art for the full Chakra Meditation Coloring Book, which will be coming out at the end of the year! Stay tuned for more details…. Beautiful rendering, Nina. Your drawing reaches out and touches me in every Chakra.